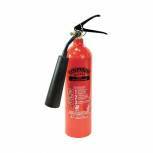 Fire Extinguisher Carbon Dioxide 2 kg XC2A Pack of 1 Safe for use on fires involving live Electrical equipment including computers. The CO2 gas extinguishes fires without creating water damage. Harmless to valuable Electrical computer equipment. Good on small fires involving petrol, oil, fats and solvents. 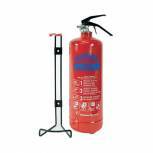 Fire Extinguisher Water 9Ls XWS9 Pack of 1 Similar to the 9litre foam extinguisher with the same applications. Supplied filled. Capacity 2 litres. 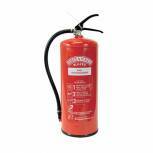 Fire Extinguisher AFFF Foam 6Ls XTS6 Pack of 1 A stored pressure refillable fire extinguisher containing AFFF foam which is supplied filled and ready to use. When applied to a fire it discharges a jet of foam which forms a film on the surface of the fire. For paper, oil, and fat. 6 litre. 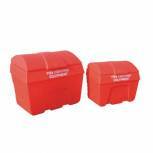 Red 200 Litre Fire Fighting Storage Bin Static 325901 Pack of 1 Robust, non-corrosive container moulded from medium duty polyethylene. Fork lift truck grooves enable easy handling. 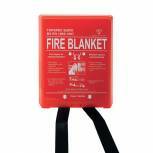 Ideal for the storage of fire fighting equipment. H850x W505xD725mm. Non returnable. Red 400 Litre Fire Fighting Storage Bin Static 325911 Pack of 1 Robust, non-corrosive container moulded from medium duty polyethylene. Fork lift truck grooves enable easy handling. 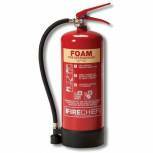 Ideal for the storage of fire fighting equipment. H1050x W650xD900mm. Non returnable.